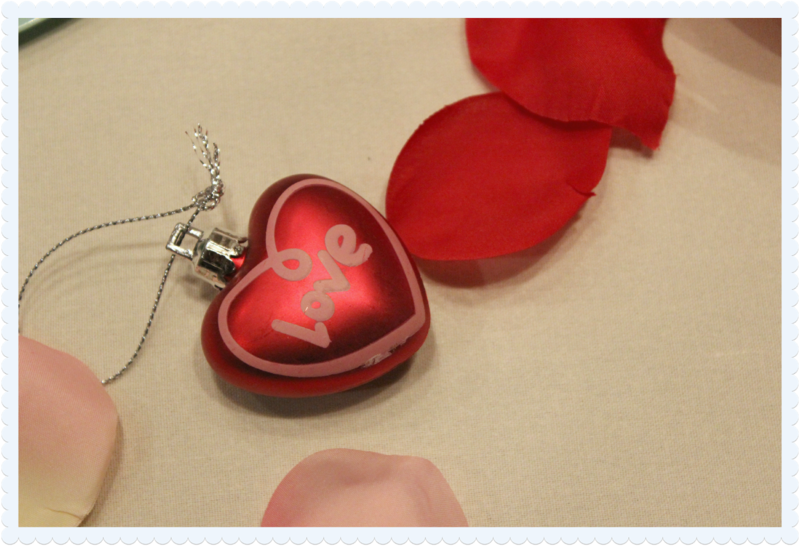 It's that time of the year, the time when everything is covered in hearts and kisses. ...thus I feel I was afforded a sunny outlook on this often disliked holiday. The world wasn't about just romantic love, it was about a full week of celebrating from my mom's birthday until mine. Pretty much we consider the decorations to be just for us. Thanks world! 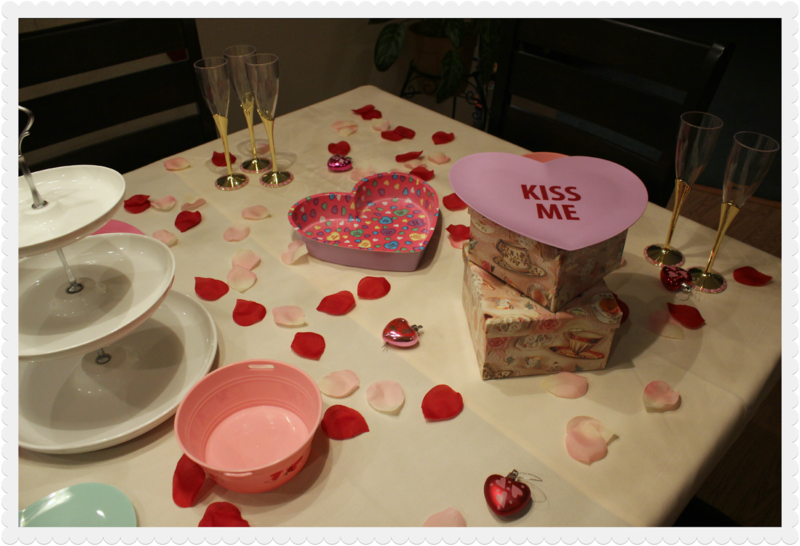 ;) But seeing as not everyone has this luxury through this oh-so-romantic month I encourage you to throw a party anyway. These are the decorations in my house just because it's February but, I am having some friends over tomorrow so I am doing this in two parts. Part one is about prep work and part two is the final hour leading up to guest arrival. Let's begin! making sure I would have pastries for the day of. I had loads decoration already (of course) and just needed to put them up. 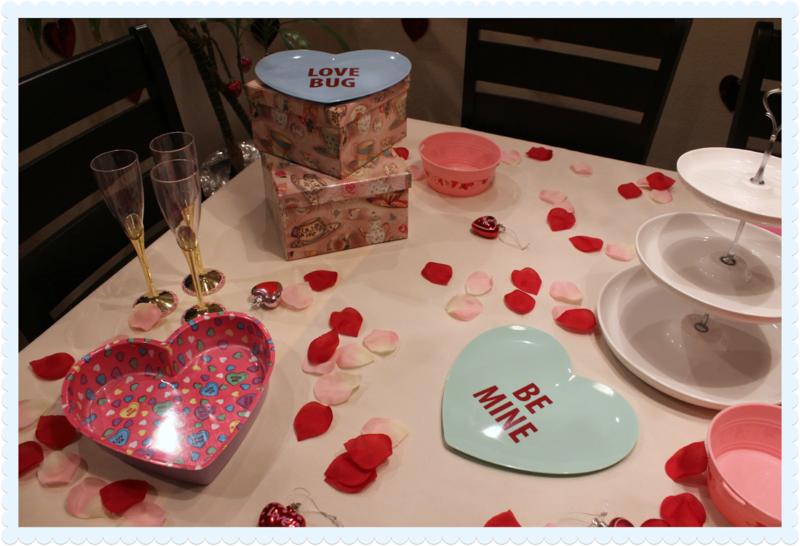 After I cleaned my home and tidied up a bit I began trimming the house with all the cliche' Valentine's-y things. I got a cream colored table cloth and some hat boxes with tea cups on them. I wanted to create different levels to keep the eyes interested. Eye's are lazy by nature and you need to tell them where to look. Which is why mascara is so great, it says "eh- hem...look at me! ", which is what you want. 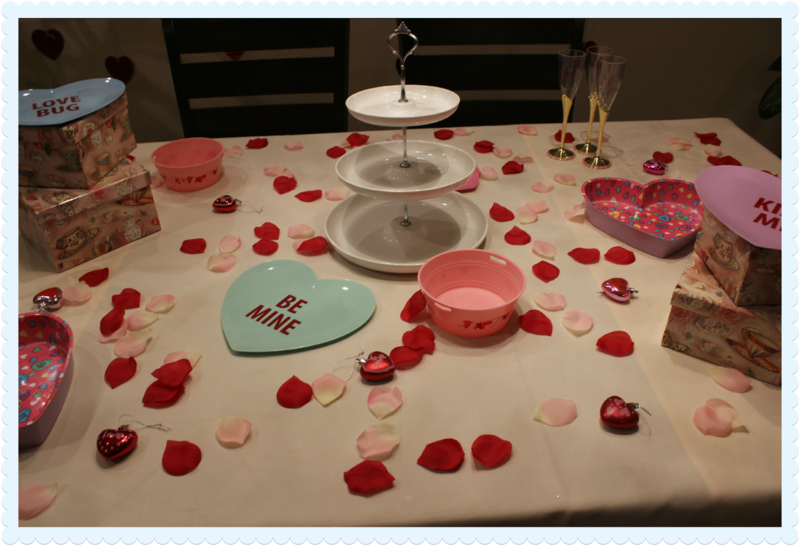 I set out all my heart shaped dishes that will soon be filled with the tastiest Parisian desserts. I'm getting all warm and fuzzy just thinking about it. 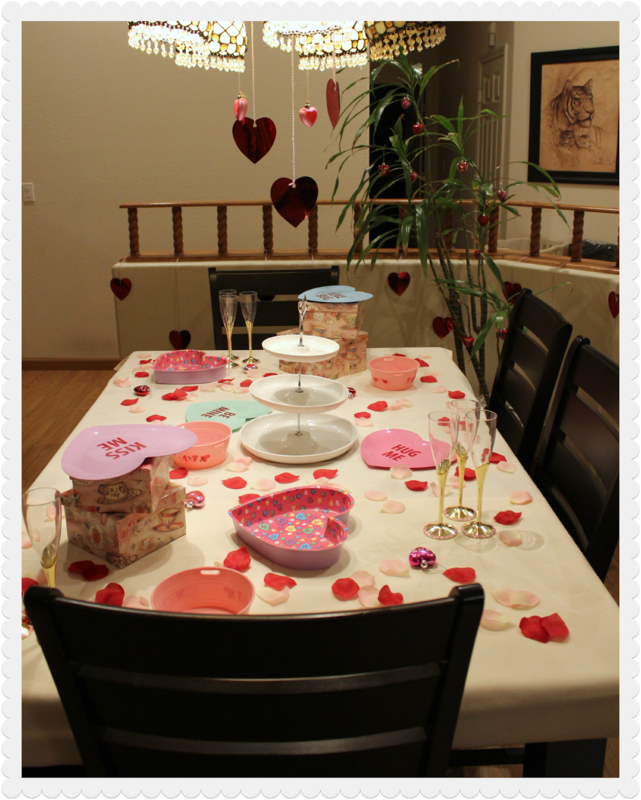 I scattered fake rose petals in pink all around the table to fill in any bare spots and let's be honest it's just cute. I had some ornaments and scattered them here and there. I found all of these things throughout the years, slowly growing my heart shaped everything collection. I took puff-paints (in lavender and pink) around the base of plastic champagne flutes adding little XOXOs all the way around. This changed the whole look of the glasses from simple to festive. I used the rest of the ornaments to decorate a tree that stands next to the table. 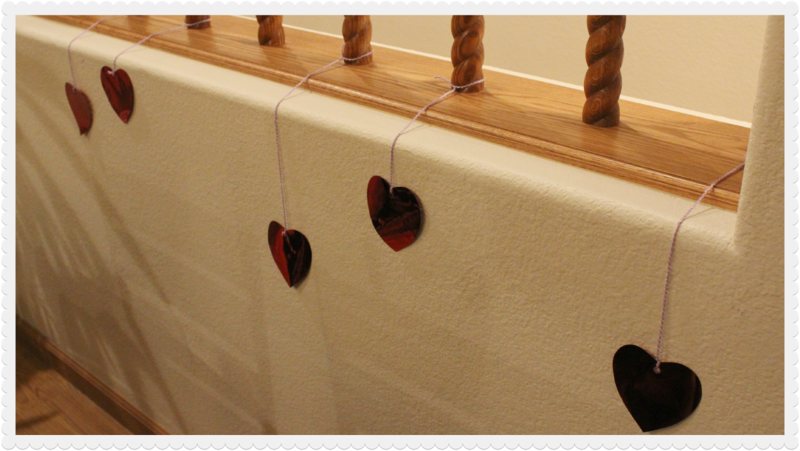 I have this little banister around my table that was looking a bit barren so I took some lavender yarn and metallic red hearts and tied them all the way around. 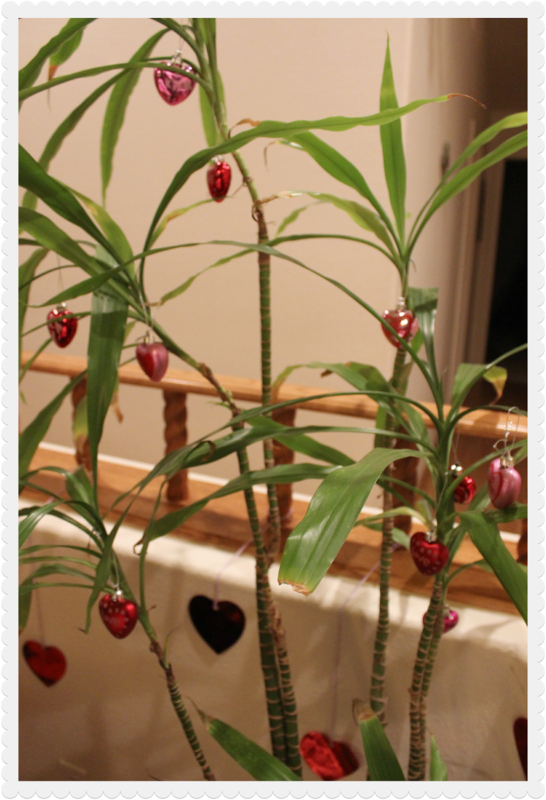 I also took some of the metallic hearts and ornaments and hung them at different levels on the chandelier. 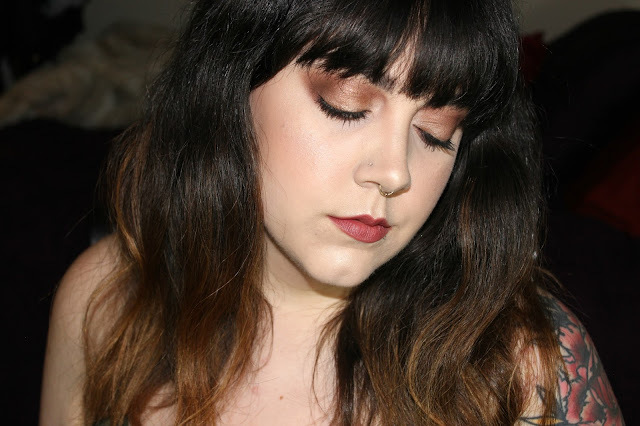 The finished look was this. I hope part one of this has given you a happy outlook of Valentine's Day if you have been dreading it. Take this day as a chance to have an adorable party with all your friends or to have a single ladies night out. If you do have a Valentine this year I hope you have the most romantic day! If this is your birthday month too, Happy Birthday, Febru-baby! Be sure if you enjoyed this to subscribe if you're not already to see Part 2. 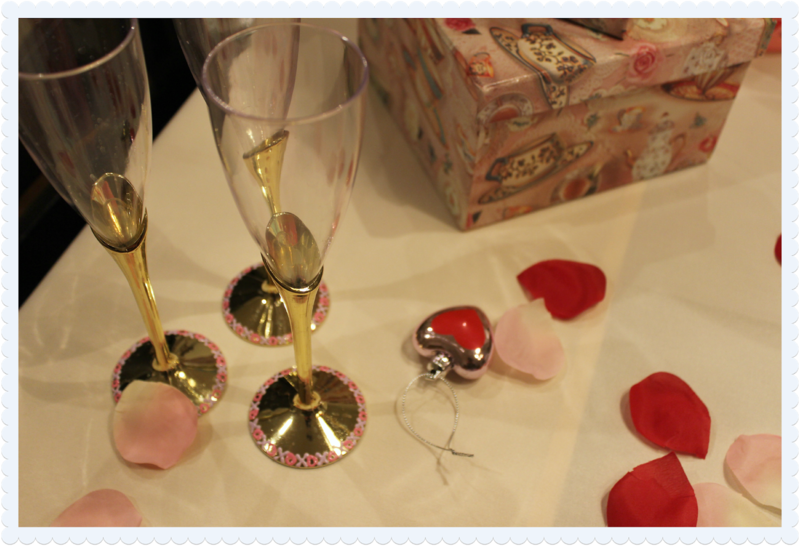 Here's the history of St.Valentine's Day.